With just over a month to go before polling day, candidates for the French presidential election will face each other tonight in a live television debate. However, for the first time, the debate is being limited to only the five leading candidates from the 11 on the ballot paper: Front National’s Marine Le Pen, centrist independent Emmanuel Macron, Les Républicains’ Francois Fillon, Parti Socialiste’s Benoît Hamon and far-left Jean-Luc Mélenchon. The first round of voting is on April 23 and there will be two further televised debates in which all 11 contenders will take part. In 2012, Nicolas Sarkozy refused any live TV debate before the first round, only facing François Hollande prior to the second round of voting, and the new move by broadcaster TF1 to ignore the six other candidates has caused anger. At a recent rally, Mr Dupont-Aignan said he “would be the surprise of this election.” He lodged a complaint about TF1’s policy with the Conseil d’Etat, but it was rejected last Thursday. 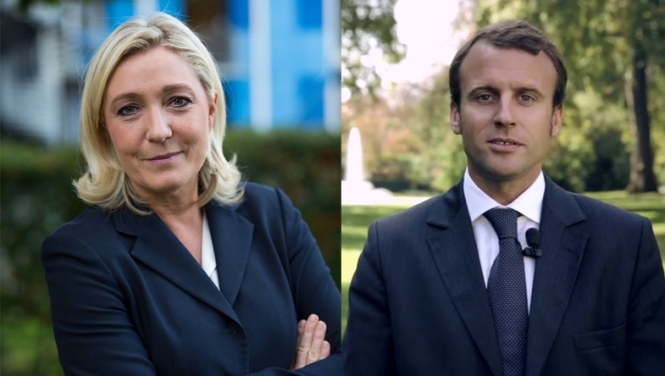 A poll by Odexa released yesterday showed that Macron would win the first-round of voting with 26.5%, Marine Le Pen on 26% and Fillon on 19%, with Macron beating Le Pen 64-36 in the run-off. But given the unpredicted results in both the Brexit referendum and US presidential election in 2016, at least one newspaper, Le Parisien, is ignoring polls altogether. This is the most unpredictable election in decades, with commentators believing Mr Macron and Ms Le Pen have the most to lose in the TV debates, which are crucial in swaying the opinions of millions of undecided voters. Mr Macron, the former economy minister under François Hollande, has never been involved in such a high profile, and potentially hostile, debate. But while the candidates will know the topics to be debated, he will not be using a script. "I have never done any media training, I hate that,” he said. The three-hour debate begins at 21.00 and will be broadcast on TF1 and LCI. Candidates will be arranged in a circle in front of an audience of 420 people. They will each have two minutes to answer questions on three main subjects: society (education, ecology, security), then economic issues (employment and taxation) and finally, international policy. Other candidates will be able to intervene towards the end of their answers. BFMTV and CNews will feature all 11 candidates in its debate on April 4 while France 2 will also feature all 11 in a debate on April 20, just three days before the first round vote.